This microscope allows students to view both micro and macro specimens. The macro setting (20x magnification) is perfect for viewing rocks, plants and insects. The micro magnifications of 40x, 100x and 400x provide standard biological magnifications and allow the student to view protozoans, blood cells, etc. and the sturdy tripod legs allow you to take this microscope out into the field for everyday work. Three microscopes in one. Can be used as a microscope, macroscope or in the field. Height: 15-1/4 in. (388mm). Weight: 7.6 lbs (16.8 kgs). 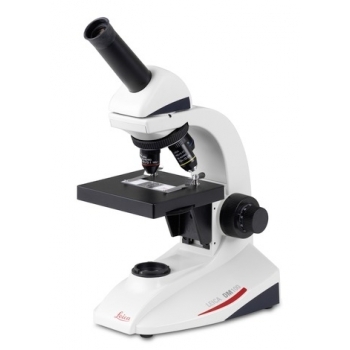 Click the button below to add the Swift M3 Cordless LED Microscope to your wish list.